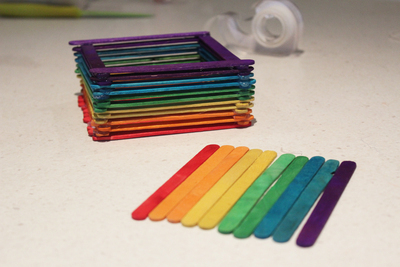 I first learnt how to make these boxes in OSHC, we only used regular pop sticks, but I think it looks great in rainbow colours. 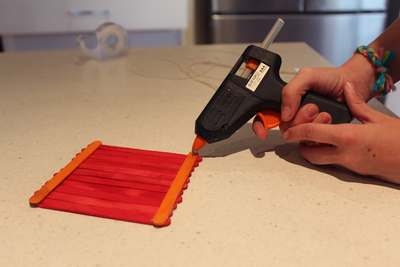 You don't have to use a glue gun (sometimes they can be a little hot and dangerous), you can use PVA glue too. 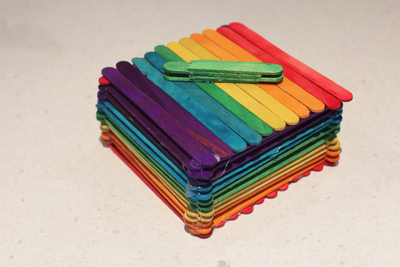 Start by laying 11 popsicle sticks in a row. 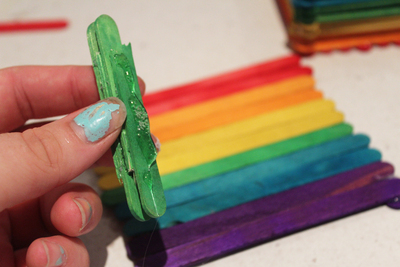 Get another popsicle stick and put glue all along one side of it. 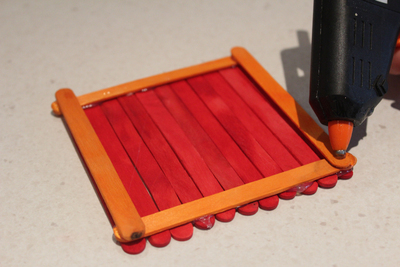 Stick it onto Your 11 popsticks, so that it runs across all 11 of them. Repeat along the other side. 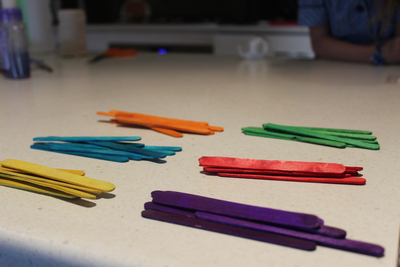 Make sure you've got glue all along each of these popsticks, because this will help them all stick together. 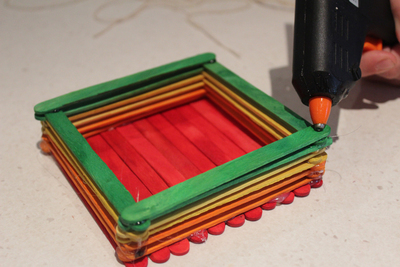 Put a small amount of glue on the corners of each of the new popsticks (orange ones in the picture) and then add another two popsticks, this time going in a different direction. Repeat this, until your box has reached the height you want. Now you've got to make your lid. 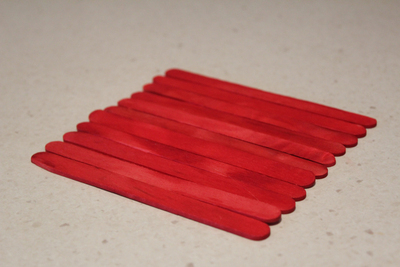 Get 11 popsticks, and repeat the first step where you put two popsticks on either side to hold the 11 sticks together. 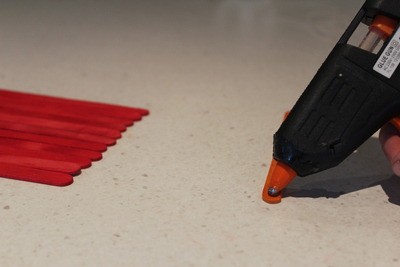 Then turn them around so that these two sticks are on the bottom of your lid. 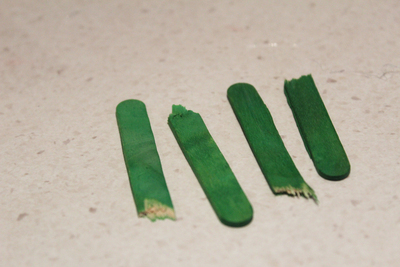 Break 2 popsticks in half, and stick the 4 halves together. 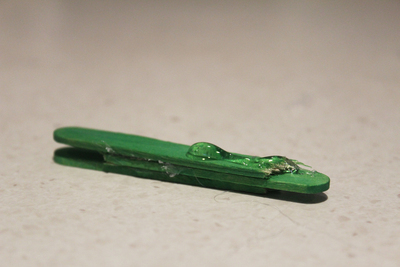 Put glue all along the bottom stick, and then glue it diagonally along the lid. 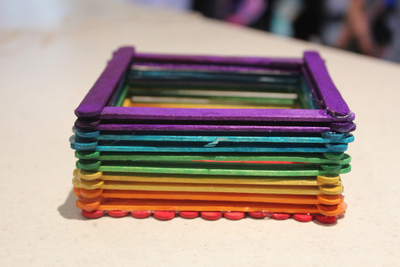 You can use your box for storing anything, as long as they're not too big. 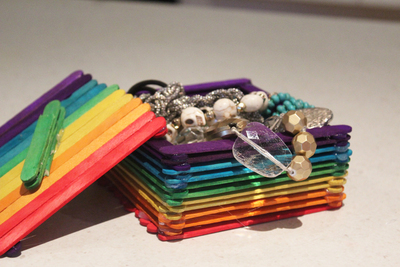 You could even give it to your mum or older sister so they can use it as a jewellery box. What would you use your box for? Share your pictures with us!